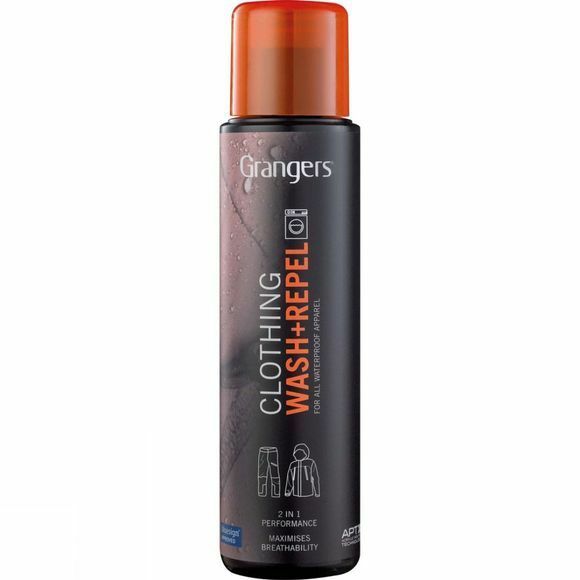 Using Acrylic Polymer Technology (APT) the Wash and Repel from Grangers delivers excellent cleaning and proofing in just one wash cycle. The powerful cleaning action combined with the water repellency of APT enhances the performance of all your favourite waterproof garments that need a little tender loving care. By doing it in just one wash it saves time, water and energy every single time you wash your garments which is better for the environment that you love.